In Japan everything always happened in reverse: wolves did not eat people, kamikazes were not afraid of death, grumpy people smiled. It’s #Giving Tuesday! If you’ve enjoyed our Translation Tuesday posts, please consider a $25 donation to our newly launched fundraising drive today! Every little will help us bring you more of what you love. In Japan everything always happened in reverse: wolves did not eat people, kamikazes were not afraid of death, grumpy people smiled, and Cinderella was a stoker’s son named Mamichigane. 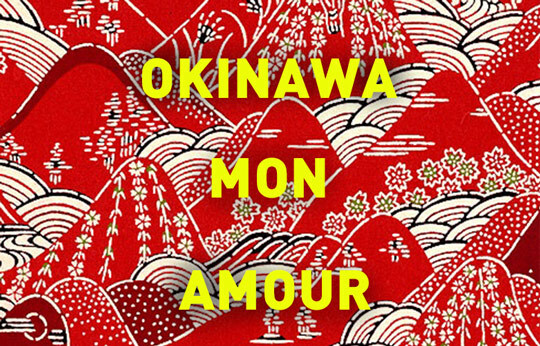 Every day, Miriam thought about that typhoon-exhausted island she had never seen: Shuri Castle cloaked in flames, the drowned children of the Tsushima Maru, and the woman who came down from Heaven and had to stay on Earth because some man stole her magic kimono.